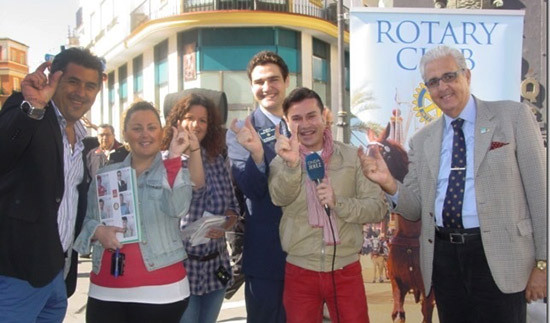 Spanish Rotarians promote the World’s Biggest Commercial and polio eradication. As a Rotary public image coordinator, I have the responsibility to do whatever I can to increase the public’s awareness of Rotary and what we stand for. The goal is of course to increase membership.